Over the past one week, I have completed a session of HIIT and a session of Tempo run, i ended the week on Sunday with a Hill workout. Many races nowadays are ran on hilly courses. 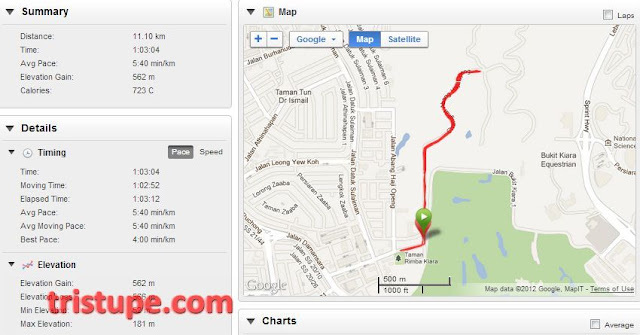 Many runners in Klang Valley know route like the Double Hill Loop, the Hartamas Loop, the Dragon Back in Klang and my personal favourite, the Sperm Loop. Lets face it, unless you are running on a treadmill, expect inclination of some sort. Many of us took the route we ran too easy that the workout and time spent were wasted. For today's update, lets look into Hill Workout and the variation of it. Not with the sound of music, but with potential of making you wheeze and hyperventilate. Done correctly, you will improve both your endurance and power as a runner and athlete. I try to break it down to the 3-Ws and 1H approach (as the other W, or WHO refers to YOU). Where: Find a hill that is about 100m to 200m long. When: Once a week. Towards the end of an easy workout or as a complete workout by itself. Why: Develop explosive short burst of power essential for that final few hundred meters of your race. You never know if you managed to overtake Geoffrey Mutai or Paula Radcliff in those final 500meters. How: Two to three sets of 10 hill repeat. Run up AsFastAsYouCan (if that is too fast for you, i meant, run all out). Jog down at a relaxed pace and do a slow jog for about 5minutes between sets. Where: A route with rolling hills. Anything between 5km to 10km. 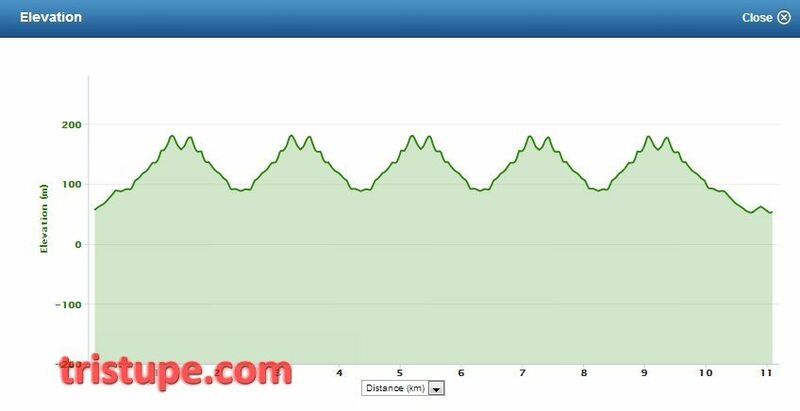 Double Hill Loop comes into mind. When: Once a week. As part of a longer run or a run by itself. Why: Power Hill Workout is good for anyone looking to improve their overall half or full marathon experience. It is even better for a 10km run where you will improve on the timing, come what (the route) may. How: Push through each hill and do not slow down. Cruise on the downhill, use it to catch your breathe but maintain the same, if not slower pace. An example, for myself is to maintain nothing less than a 5:30min/km pace (aka must not drop below that speed when running uphill). Where: A route with longer rolling hills. The Hartamas Loop would be perfect. When: Again, once a week and this time, as part of your LSD route/training. Why: Long hill runs forces you to concentrate on your running form when tired. Perfect to develop confidence for long runs, racing concentration and ensuring an injury free run. This is on top of running a strong race, of course. How: Maintain your long run pace. Chest out, tummy in, chin up and cruise over those hills. Where: A route with at least 500m worth of hills to climb; and up to 2km if you are lucky to find them. Mine happened to be at Bukit Kiara. When: Exclusive by it's own, once a week. Why: Because you can. OK, i am talking rubbish here. But you know that this one will greatly add on strength, endurance and performance if done diligently. 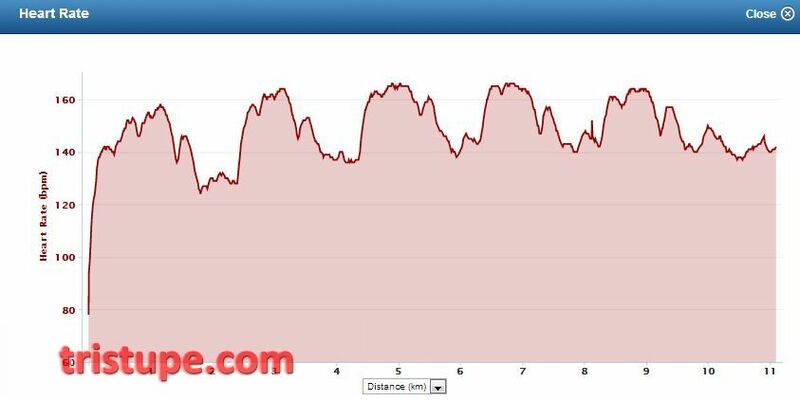 How: As the route is longer, you will have to put in the commitment to run the uphill similar to your Power Hill Workout or at close to your 5K pace (of which for me is 5:00min/km pace). Run the downhill at about 60%-75%, mainly to avoid injuries or you can turn it into a speed work running down at a faster pace. Do a total of at least 3 sets or 6km and head for 5 sets if you still felt alright and can hold the running form. Which One Did I Do For Self-Gratification? My fitness level is better than before and I considered myself to be very lucky to be at this stage. Showing good progress on my recent runs and being able to run and hold a 4:30min/km pace no less than 5km distance, i felt it is only fair that i put myself through the Mother Of All Hill Circuit. The Bukit Kiara tarmac from the first guard house to the top of the cross junction at the second guardhouse is a 1km distance route one way. 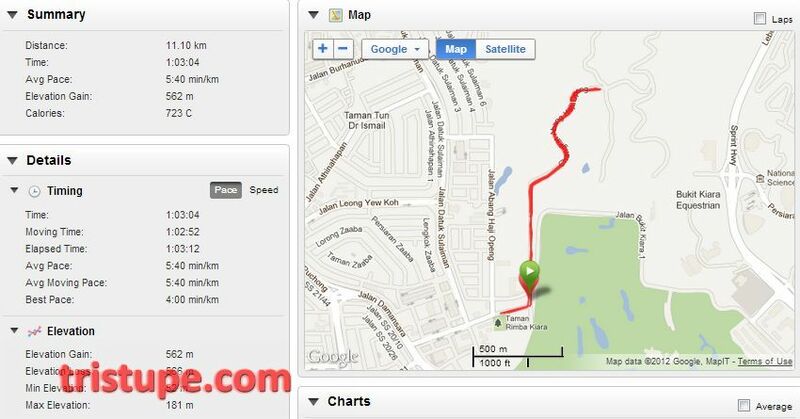 This meant I would have a Hill circuit of 1km up and 1km down, which perfectly suit the circuit. With elevation gain of about 100m over 1km or a 10% gradient, i put myself through the pace. A short 400m warm up from near the Hindu Temple at Taman Tun to the first guard house and i picked up my pace. The first K was relatively easy and the distance was covered without much effort. The run down was easy and controlled. The many many identical peaks. Five to be exact. With the effort of constantly pushing as the mileage comes in, the heart rate too started to fluctuate akin to an interval training. Hill work Circuit such as these are the traditional interval training. It is absolutely best to use as endurance and strength conditioner. Which i make sure i reap the full benefit of every training session. As with every exercise, do not cheat yourself by taking the easy way out. Go in with your 100% and your hard work will pay off over time. If you are looking to improve your personal fitness, time to incorporate these hill workout, apart from the usual interval training. With adequate training on the hill, your next challenge will be nothing but a speed bump that you will run over with ease. See you at the next hill! Take the road today. Run it (until it is) flat!